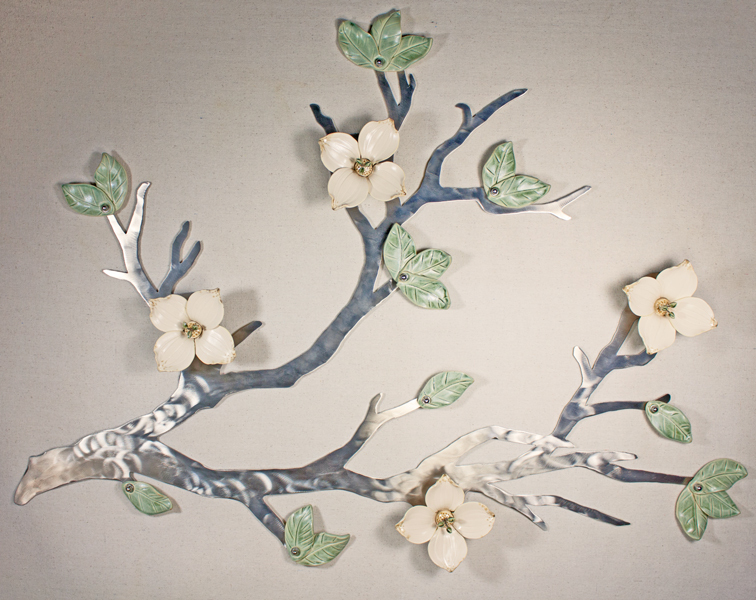 Flowering Branch Sculptures are a unique and beautiful addition to your home decor. Each is made from carved steel and handbuilt porcelain. The branches are available in Brown Patinaed Steel, Silver Stainless Steel and Golden Patinaed Stainless Steel. We offer our Signature flower design, as well as custom made flowers, in many different colors. We offer 3 standard sizes (please see below). For custom wall pieces, including large scale projects please click here.